Sea, Sand & Sky: Invasives at Courageous! This week at Courageous Sailing Center, the Step Green boats learned about invasive species, and more the specifically, those in Boston Harbor. 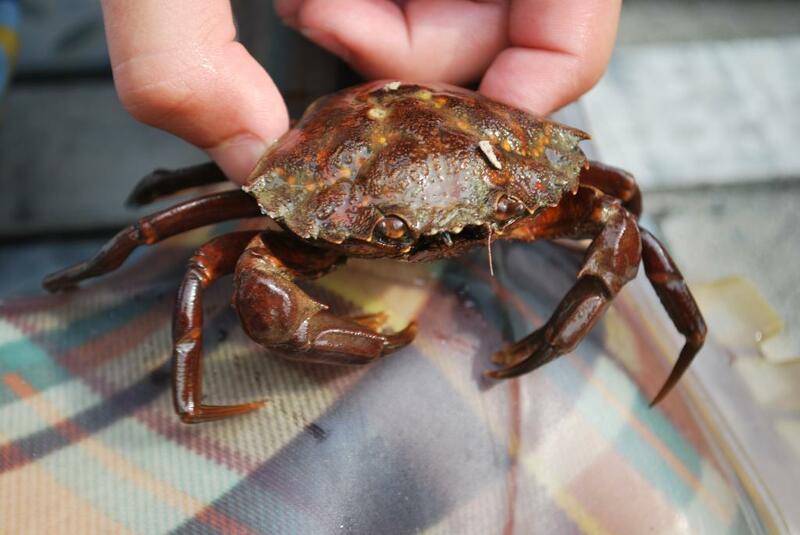 Many of the young sailors had no idea that the green crabs they caught that week were introduced to North America from Europe in the early 1800s! Similarly, they were unaware that the club tunicates they enjoyed prodding on lobster traps were originally from Japan! On the other hand, the sailors were pleased that their favorite crab, the red rock crab, was a local native. An interesting discussion opened up about the transportation and introduction of invasive species. The kids at courageous were baffled at the ways critters could be introduced to Boston Harbor: traveling around the world attached to hulls of ships, floating in ballast waters or even being as released pets. We will be on the lookout at Courageous for the new invaders!